The evergreen Greenheart tree harvested from South America varies considerably in colour as mentioned below. 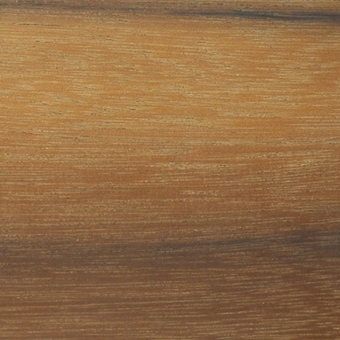 A constructional timber, Greenheart has an exceptionally heavy density, and very high bending and crushing strengths. Its know as being one of the stiffest timbers in the world along with having a high resistance to shock loads; This can make it difficult to work with, with a high blunting effect to cutters. Greenheart wood grain is straight to interlocked or roey and the texture fine and even, lustrous and cold to the touch. Varies considerably in colour, from yellow-green, golden yellow, light olive, dark olive, yellow-brown, dark brown to black. The texture is fine and even. Excellent resistance to marine borers.